We present a novel computational framework for characterizing signal in brain images via nonlinear pairing of critical values of the signal. Among the astronomically large number of different pairings possible, we show that representations derived from specific pairing schemes provide concise representations of the image. This procedure yields a “min-max diagram” of the image data. 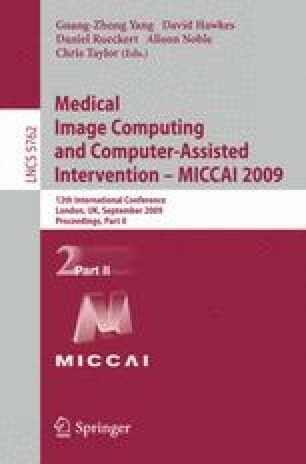 The representation turns out to be especially powerful in discriminating image scans obtained from different clinical populations, and directly opens the door to applications in a variety of learning and inference problems in biomedical imaging. It is noticed that this strategy significantly departs from the standard image analysis paradigm – where the ‘mean’ signal is used to characterize an ensemble of images. This offers robustness to noise in subsequent statistical analyses, for example; however, the attenuation of the signal content due to averaging makes it rather difficult to identify subtle variations. The proposed topologically oriented method seeks to address these limitations by characterizing and encoding topological features or attributes of the image. As an application, we have used this method to characterize cortical thickness measures along brain surfaces in classifying autistic subjects. Our promising experimental results provide evidence of the power of this representation.